I'm surrounded by strong women. Women who put Jesus first and raised a family. Women who disciplined and educated and supported and played. 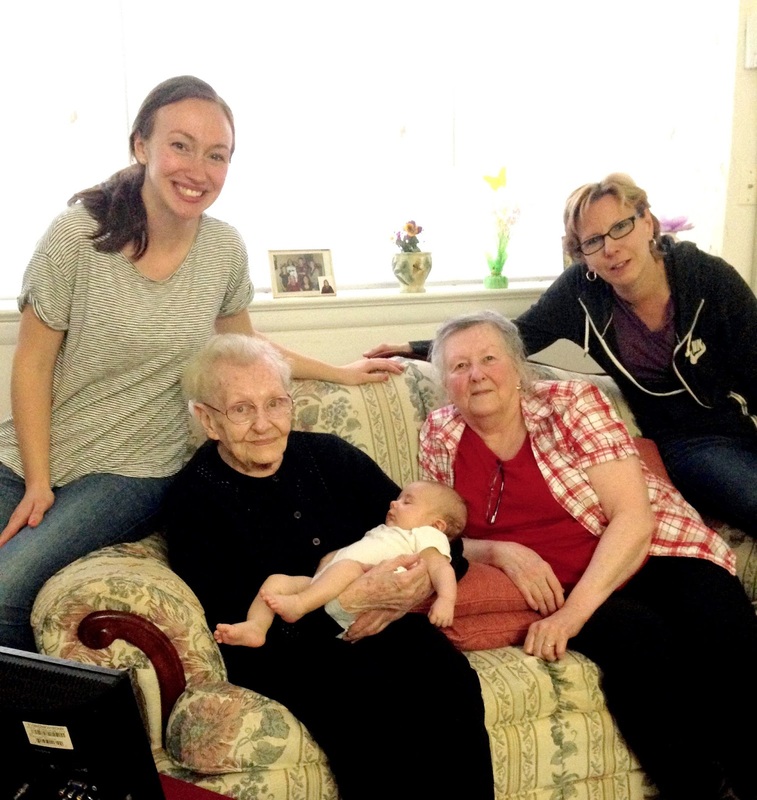 On Devin's side, we have 5 generations, and on mine, 4 generations. 2. Fun, in the sense that I'm not afraid to look ridiculous and play games with my kids. I also have grand plans to make scavenger hunts for them, chase them around the park, build towers and train tracks with them, and go on a puddle-jumping walk in summer thunderstorms. 3. Calm and patient, especially when I discipline. I distinctly remember my mom patiently explaining before each punishment I got, "Julie, I love you very much but you canNOT _____ ...". I feel really strongly that Aiden shouldn't be raised in a house with screaming and yelling. 4. An example of a worshipper. I want Aiden to grow up, watching me read my Bible every day and worship Jesus with a genuine excitement (none of that super whitebread, timid worship of a Savior who SAVED OUR LIVES, but that's a soapbox for a different day;) ). I want him to see in me disciplined faith and joy in celebrating what God's done for us. 5. A loving wife. I want him to see a marriage full of laughter and forgiveness and adventures and faith. And here's a shot of the day I became a mom.